No plans for this weekend? 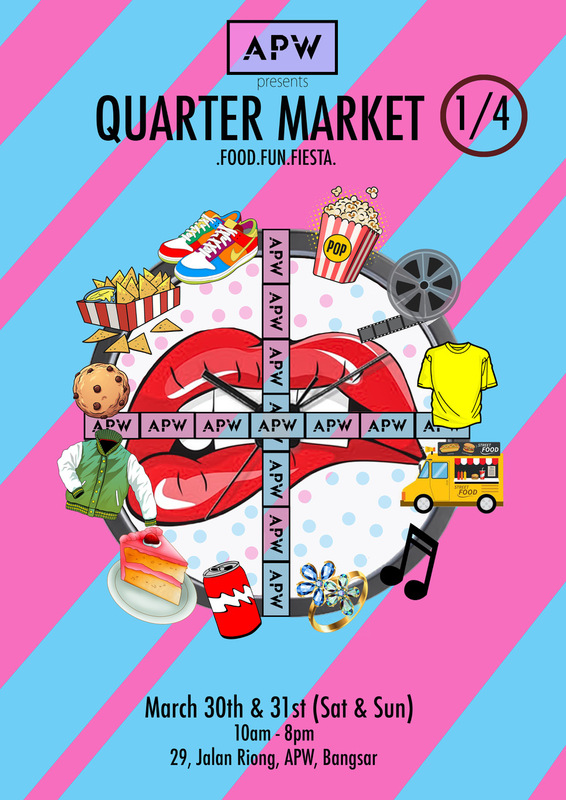 You’re in luck ’cause APW Bangsar, the community centre for cool kids, is hosting their first APW Quartet Market! 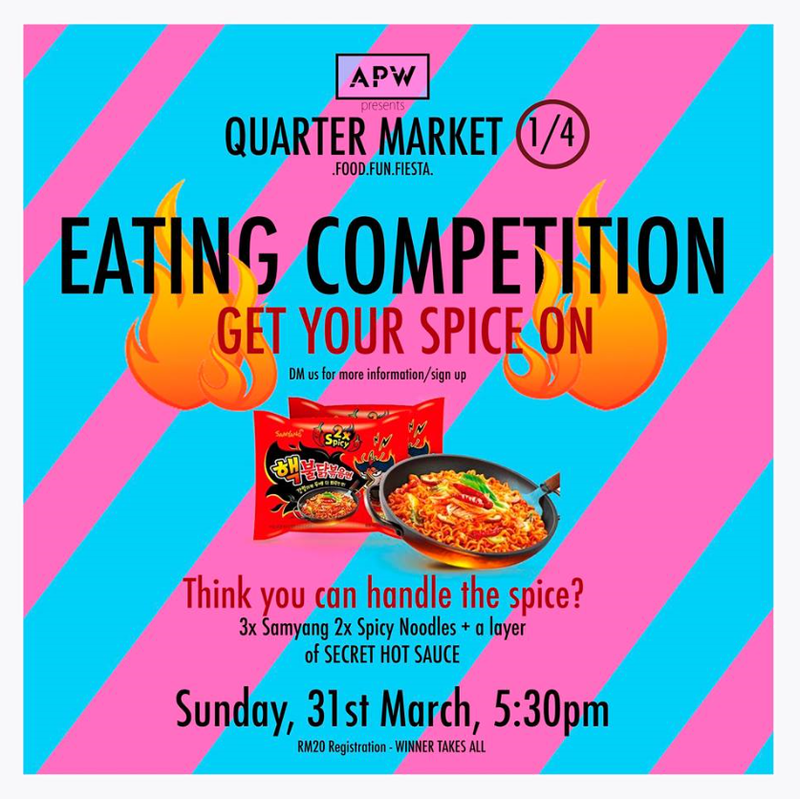 Ajak all your friends and family as the market will be a full fledge wholesome weekend that incorporates food, retail vendors, entertainment, performances, a spicy ramen eating challenge and a Kids’ Corner . There’s something for everyone, no matter what your age is. And as the name suggests, this market will be a quarterly affair. The market will feature a line of Malaysian homegrown entrepreneurs. You can find products ranging from beautiful handmade artisan soaps to traditional Batik garments. Just in time for you to pick up a cute baju kurung for the upcoming Raya season. Alongside that, food and beverage vendors will be offering an array of dishes from scrumptious local delights to sinful desserts. Alcoholic beverages will be available all weekend long for those who want to kick back whilst listening to the variety of performers at their Open Mic on Saturday from 12 to 2pm and 5 to 7pm! Think you can handle the heat? If your tummy is made of steel, sign up for their eating competition where you have to eat 3 packets of infamous Samyang and 2 packets of Spicy Noodles! They will also be adding a special sauce for that extra kick. Besides the food, vendors and music performances, for this edition of the Quarter Market, APW will be featuring the first ever Lettuce Land in Malaysia! An estimate of 25,600 heads of lettuce will be displayed in the compound which includes a life-size maze made entirely from lettuce. If you’re as confused as we are, great! We can explore it together this weekend then. We’re not quite sure how this will be going down, but we’re definitely curious to see it with our own eyes. Psst! Apparently the lettuce that’ll be on display is also up for grabs.. you know, in case you need a lettuce land of your own… No judging here. 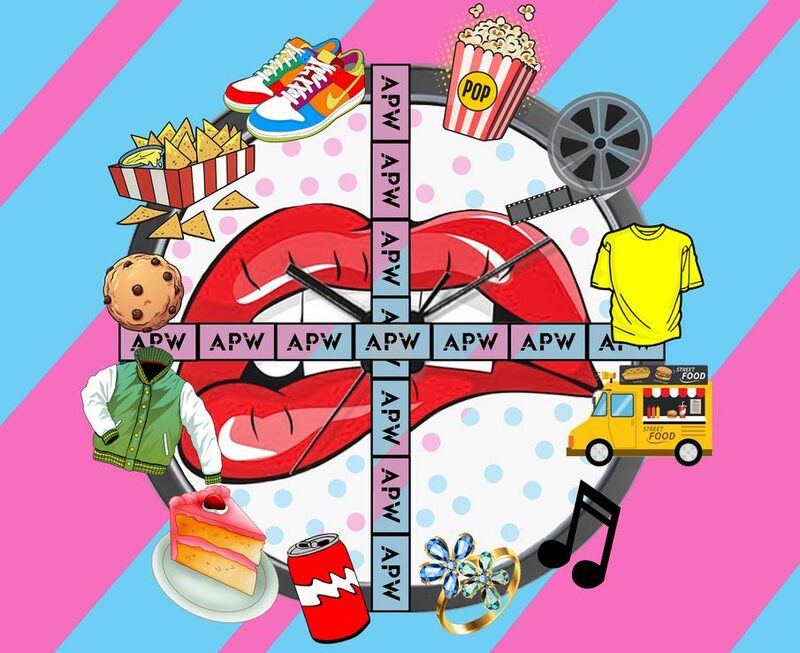 Find our more about APW Quartet Market by clicking, here.